A low-fat, high-protein diet can ease abdominal pain from pancreatitis and help reduce the risk of future attacks. Get tips on best and worst foods for a pancreas-friendly diet. What you eat can have a huge effect on how you feel, especially if you have pancreatitis — a condition that occurs when the organ that produces your digestive enzymes becomes inflamed. 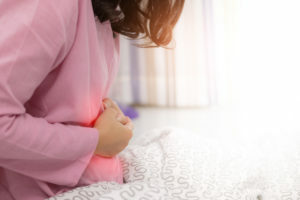 Paying close attention to your diet can help ease abdominal pain that accompanies this condition, says pancreas specialist Prabhleen Chahal, MD. If you choose your food well, you can give your pancreas a break and help it recover. So, it’s vital to know which foods you can eat, which ones you should avoid, and how those choices can affect your body. With a chronically inflamed pancreas, your body can’t produce enough of the digestive enzymes that help absorb nutrients from the foods you eat. Over time, you could become malnourished or start losing weight without trying to, Dr. Chahal says. A different diet can make it easier for your pancreas to do its job. Changes in diet don’t affect all patients the same way, however. The impact depends on whether you have an acute or chronic case of pancreatitis, she says. A pancreas-friendly diet is high in protein from lean meats and low in animal fats and simple sugars, Dr. Chahal says. Antioxidant-rich foods such as dark, leafy vegetables, red berries, blueberries, sweet potatoes, grapes, carrots, walnuts and pomegranates are also beneficial. But, eat avocado, olive oil, fatty fish, nuts and seeds in moderation. The Mediterranean diet is a good option for you if you are recovering from mild acute pancreatitis. You can find healthy recipes in the National Pancreas Foundation cookbook, Dr. Chahal says. Why are these foods helpful? Focusing on vegetables, fruits and whole grains limits your cholesterol intake and increases your fiber intake. This reduces your risk of developing gallstones or high triglycerides, which are among the leading causes of acute pancreatitis. Antioxidants combat the free radicals in your body, helping reduce inflammation. Adding medium-chain triglycerides (MCTs) — fats that are often derived from coconut or palm kernel oil — can also help boost your nutrient absorption in the setting of chronic pancreatitis, Dr. Chahal says. Whenever possible, stay away from fried or full-fat foods, as well as foods that are high in sugar. Why are these foods harmful? Your pancreas processes most of the fat you eat. So, the more you eat, the harder your pancreas works. High-fat foods and simple sugars also increase your triglyceride levels. This boosts the amount of fat in your blood and increases your risk for acute pancreatitis. Research also shows that processed meat and red meat increases pancreatic cancer risk , Dr. Chahal says. If you’ve suffered an acute pancreatitis episode, you can help speed your recovery with some dietary and lifestyle changes, she says. Eat 6 to 8 small meals a day. It’s easier on your pancreas. Add 1 to 2 tablespoons of MCTs to your daily diet and you can continue this if you have moderately severe or severe chronic pancreatitis. Take a multivitamin to replenish vitamins A, D, E, K, B12, zinc and folic acid. Limit total fat intake to less than 30 grams per day. Eliminate saturated fats. Don’t smoke (or do your best to quit). If your abdominal pain continues, your doctor may also refer you to a pain management specialist. Ultimately, controlling your diet is often an effective way to protect your pancreas, Dr. Chahal says. “Whether the inflammation is acute or chronic, we want to minimize the extra workload for the pancreas,” she says.